Breathe; all she had to do was breathe. If she could will her muscles to respond and catch one more breath, just one, the pressure in her chest might ease enough to tell him. She thought, “All I need…” but before she could finish it, she looked up through her fallen locks and saw him standing there above her. And as he bent down, the band around her chest tightened and every tiny hair on both arms stood up. She knew then, it was too late. 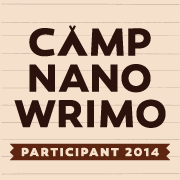 That’s right folks, I’ve signed up another month of Camp NaNoWriMo! For those of you unfamiliar with this particular camp, Camp NaNoWriMo is a writing challenge billed as “An idyllic writers retreat, located smack-dab in the middle of your crazy life.” It is a completely voluntary online writing challenge where the “Campers” set a goal of writing 50,000 words in one month. Yes, that’s only ONE month. But wait! 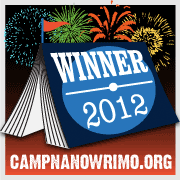 I already won Camp NaNoWriMo! And the 50,000 words I wrote during the August 2012 session completed my third book, Blinded. 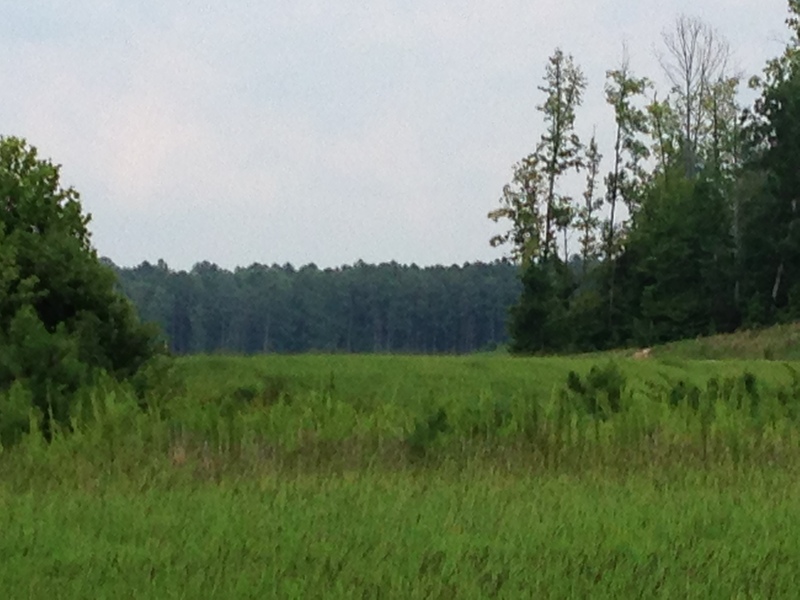 What a bonus – make goal AND finish my book. And here’s where it gets good: Blinded was released in December 2013 and the trade paperback will be available from Amazon.com on April 1st. It’s January 2030 and there’s a war taking place over privacy rights. It’s bloodless combat waged across net connections between governments and the citizens who fight to remain anonymous. In the fight to control the world’s data, there are winners and losers. A survivor of the Moral Monday Riots, Derek Reynolds is both. He’s won the war, obtaining an elite position with the Security Ops Group, yet a year ago, he suffered loss when his sister slipped off the Grid. Using the tools at his command, Derek begins a search to find Gemma and bring her home under Amnesty. That’s when he meets Callie, an Off-Gridder hiding from her abusive political family. Callie has everything to lose – including her life. Can Derek convince her to take him to his sister? Exciting, right? I can’t wait to see how it turns out! To stalk my wordsmithing progress, follow my daily progress here. I have done the unthinkable. I signed up for the Camp NaNoWriMo August 2012 Session the day before it started yesterday, I met the goal of writing 50,000 words in less than thirty-one days. I finished with a day to spare. Yay, me! For those of you unfamiliar with this particular camp, Camp NaNoWriMo is a writing challenge billed as “An idyllic writers retreat, located smack-dab in the middle of your crazy life.” In other words, it is a completely voluntary online writing challenge where the “Campers” set a goal of writing 50,000 words in one month. Yes, that’s only ONE month. And I signed up on July 31st, silly me! Nifty writing stats? They’re right here. And best of all, I hit a secondary goal I set for myself. With the exception of one technical fencing scene to be completed (you knew there had to be at least one, right? ), the rough draft of book two of The Tenderfoot Series, Blinded, is complete! Remember that crazy person who signed up for the August Session of Camp NaNoWriMo? She’s still here and on her behalf, I am checking in with a status update report on her progress. Yesterday was Day Sixteen of the Thirty-One month challenge. So where do I stand at the halfway mark? A pretty good place it would appear! According to my daily progress here, I am ahead of target. 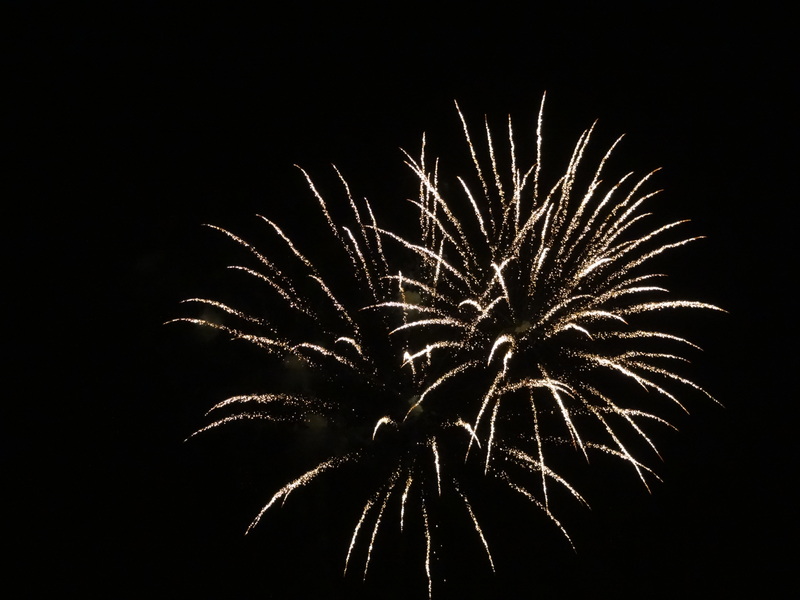 When I started on August 1st, Blinded stood at 30, 367 words. As of today, 61,017 are down, which means I have written a grand total of 30,380 words since August 1st. Yes, that’s write, I wrote 30,000 words in sixteen days! I’ll let you do the math on that, although the link above breaks out some pretty nice stats. I feel pretty good about the challenge. I’m not surprised the words are coming – they came like this for Tenderfoot – I just find it remarkable that the house is still standing and the kids have made it to school, with lunches even. Sure, we’ve all had to make sacrifices. For example, I have given up cooking for the month of August. Oh, wait… that’s not a sacrifice! My family prefers take out or frozen/pantry dinner, not that you’d believe me now when I say I am a great cook. Meh! Meh, I say! Bring it August 31st! I’m ready for you! A short story of 2,300 words. To titters from the audience in the gallery, he drew a deep breath. The world was watching. His fingers reached inside his heavily decorated jacket by force of habit. For the millionth time, they came back empty. It was a nervous habit, reaching for his cigarettes, as he was on government property, where smoking was not allowed. His empty fingers reached forward to the microphone to bend it a hair closer. He spoke again. He stood up and lifted a black briefcase onto the table. With two clicks, the old-fashioned clasps flipped open. He raised the lid. The Lieutenant General lifted two dozen copies of the magazine article and carefully set them on the table. An aide stepped forward. He put the briefcase on the floor as the aide began to distribute the article among the Senators serving on the United States Armed Services Subcommittee on Emerging Threats and Capabilities. He was careful to keep his eyes on the man on the left, the one who headed the Investigation. The woman on the right spoke. His lawyer leaned over and whispered as several Senators on the Subcommittee laughed. The Lieutenant General waved him away. There were murmurs throughout the gallery but the Senators’ gazes had softened. Except for that of the female Senator from Wisconsin. She was frowning. She obviously didn’t appreciate the cheese joke. He looked from face to face. Any levity was gone from their expressions. They stared right back. “And on what date did you know the Fairbucks program had truly gone awry?” The younger Senator from Texas smelled blood. The Lieutenant General glanced at his very expensive counsel. They nodded. The room was so quiet he could hear individuals in the gallery shifting in their seats. There was a stifled cough from the back of the silent gallery. “What was the purpose of the Treaty?” The Senator asked. “And when the Prime Minister of Afghanistan declined to sign the treaty and instead proposed becoming a territory, what happened?” Out of the corner of his eye the Lieutenant General saw the lady Senator pick up her copy of the article. It was like his lawyer said. Each member of the Subcommittee had an agenda, none of which coincided with ending the war in Afghanistan. “And what was our response?” The lady Senator obviously knew the answer but asked it anyway. The Senator on the left chuckled. “Sounds like a rout to me!” The gallery laughed. The Lieutenant General took a sip of water. His throat was dry and he knew they weren’t done yet. A few more Senators were handling the articles. He felt it now, courage. It began to well up and his anxiety vanished. “And why is that? Because we looked like damned fools!” The Senator from Texas had an election in two months time. There were gasps throughout the gallery. The lawyer closest to him gripped his elbow. The Lieutenant General moved to lay his hand on it. Spreading a little extra particulate couldn’t hurt. The Senators were all speaking at once. The Lieutenant General decided it was time. He stood. He waited. A few minutes later, the most powerful Subcommittee of the most powerful government body quieted as they waited for him to speak. In the moment he dreamt of night after dark night, he gestured to his own personal copy of the article on the table in front of him. In one final gesture, the Lieutenant General reached up to his shoulders and unbuttoned the three stars from each epaulette. To a chorus of chaos, he set the stars on the table. I have done the unthinkable. 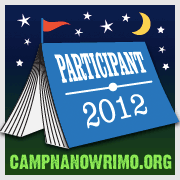 I signed up for the Camp NaNoWriMo August 2012 Session the day before it started. Am I motivated? Am I ambitious? Did I watch wayyy too many hours of the Summer Olympics last weekend? Yes, yes, and yes! That’s why I am writing this post AFTER I have met my daily goal of 1,620 words a day. Naturally, I will have to write more than that per day given the “crazy life” obstacles each day will present. Tomorrow’s goal shouldn’t be hard to meet, but various weekend commitments will pose some nice hurdles. You know, just to get me warmed up for the challenge of making my goal the three days my family will be out of town at a water park. Sploosh. My plan is to draw on inspiration and caffeine. Lots and lots of caffeine. I will be sucking downs barrels o’ Diet Coke. As added incentive, when I have 30,000 words in the bank, I get to order Camp swag from the store to hang on the inspiration board that resides above my home pc. One nice thing is that I was assigned to a cabin of six other “Campers.” So I can see how they are doing and meet some new people while foregoing a daily slathering of sunscreen and mosquito blood donations. So wish me luck in my endeavor to add 50,000 words to the existing 30,687 that currently make up the manuscript that is Blinded! You can check my daily progress here. 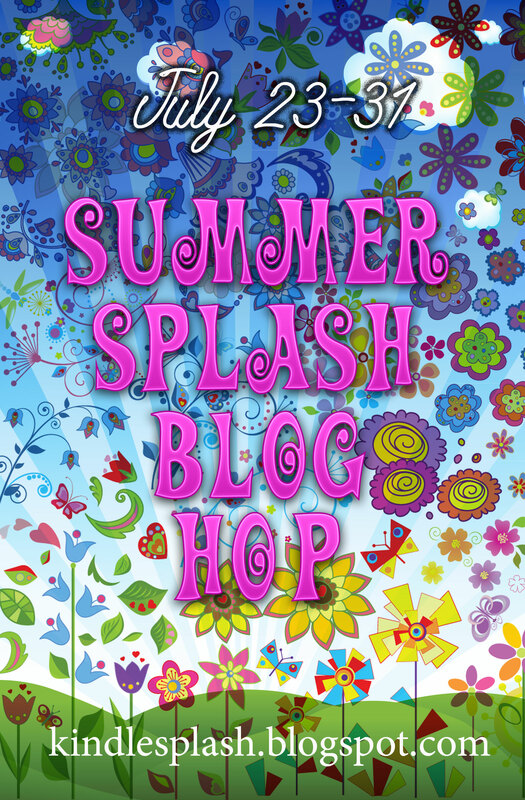 Thanks to everyone who entered my personal blog hop contest while visiting as part of the Summer Splash Blog Hop, #summerhop. The main website will remain up in case you didn’t get to all of the authors. I will be sending out emails to the winners of the signed paperbacks and ebook downloads of Tenderfoot. I hope you enjoy them!